When I attended Saint Louis Wizard World this year I met a variety of cool comic-creators, and one of the folk I mentioned chatting with and buying some work from was Gerimi Burleigh. After being quite busy I finally had a chance to read an original graphic novel he wrote and illustrated, "Eye of the Gods." "Eye of the Gods" takes place in a potentially very-near future where a man named Sean Black is suffering from severe eye degeneration to the point where he is now going to have a new surgery where genetically-altered eyes are literally grown in a lab for you and used to replace your old eyes with more efficient ones that can withstand the sun or even be altered to appear to be a myriad of colors. The trouble starts arising when Sean begins "seeing" things through other people's eyes once he falls asleep--things he doesn't want to see, like murder (and then it starts happening while he's awake, which causes even more problems). This sets Sean and his girlfriend Amanda off on a story that is both a mystery and a thriller, because as it becomes clear some sort of conspiracy is happening it is readily apparent the lives of both Sean and Amanda are in danger. I greatly enjoyed "Eye of the Gods" as it slowly built from seeming like maybe Sean just had a weird gift to learning that in fact a lot of bad stuff was going on. The art by Gerimi is good, illustrating the action-scenes quite well and telling the story with ease. Were I to complain about any aspects of the book it would probably be that while characters such as Sean are well fleshed-out, some are not. Sean's girlfriend Amanda seems ancillary to the story. This could easily be just a story about Sean, but instead we have his girlfriend whom I am not quite sure if we are supposed to consider her funny and someone we like, or a character who is annoying and which we are expected to hate. I myself didn't care for her as she is written as quite the obnoxious individual. Then when we start meeting some bad-guys their exact motives make sense, but some just seem evil to be evil. However, the way Sean is written-well makes up for these missteps, and the strength of the plot with its clever commentary on privacy and mass surveillance also results in a quality book. 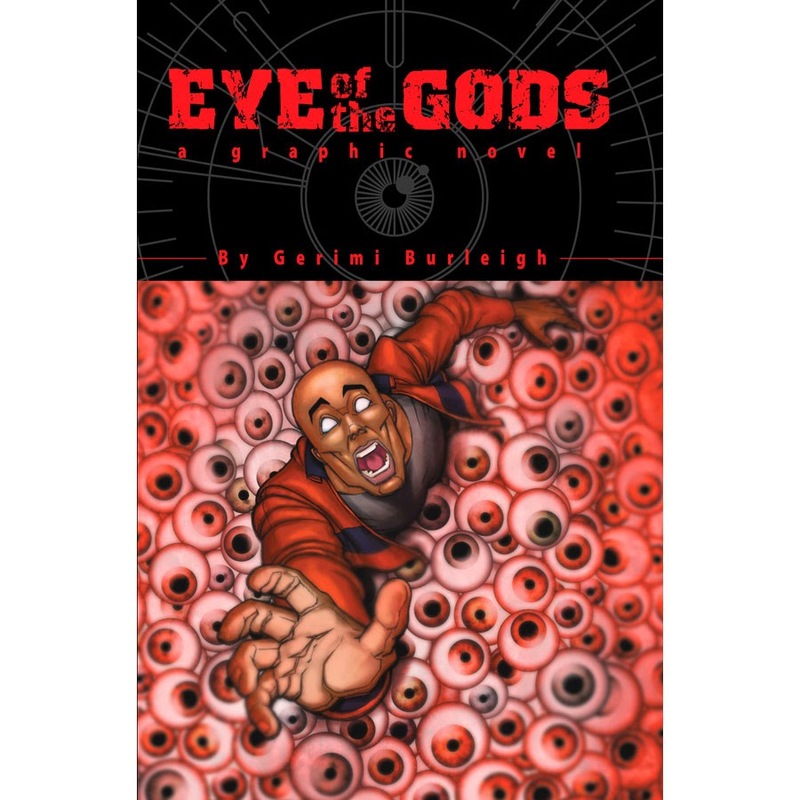 "Eye of the Gods" is an enjoyable graphic novel that I am glad I bought at from Gerimi at Wizard World. I would recommend checking the book out (here is a link to its page) if you are looking for a suspenseful thriller with a slight sci-fi feel.